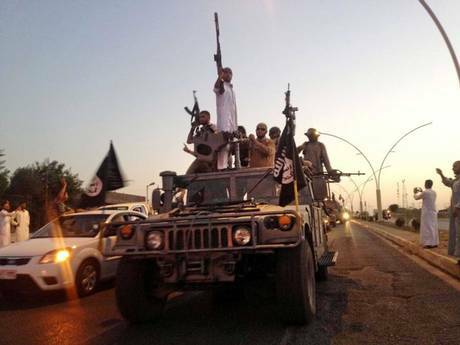 Islamic State fighters commandeer an Iraqi forces armoured vehicle in Mosul, IraqUnder the plan, Saudi Arabia is to host a special training facility for “moderate” Syrian opposition which is to fight both Isis and the government of President Bashar al-Assad. A problem is that Saudi Arabia dislikes Isis today, whatever its role in its creation, but it gives priority to regime change in Damascus. The Twin Towers sparked a series of global eventsAsked why the US government has been so eager since 2001 to cover up for the Saudis, Senator Graham says that one explanation is the long-term US strategic alliance with Saudi Arabia, going back to the Second World War. There is also the close personal relationship between the Bush family and the Kingdom. But what he finds more difficult to explain is why the “policy of covering up Saudi involvement [in 9/11] persisted under the Obama administration”. Though Mr Obama had pledged to the families of the 9/11 victims during the 2008 presidential election campaign to release the 28 censored pages, it has failed to do so six years later. The jihadi flag of the Islamic State (IS)In allying itself with Saudi Arabia, the US automatically plugs itself into an anti-Shia agenda and limits its ability to monitor and take action against Sunni jihadis who are promoted by Riyadh. In Syria this has led to parts of a jihadi-dominated military opposition being relabelled as “moderate”. President Obama intends to support this group, who scarcely exist on the map, to fight both Isis and the Assad government.